Occupying an exclusive corner position with unspoiled views over the woodland backdrop, this impressive two bedroom Charles Church built apartment located in Woodilee Village offers immaculate and stylish accommodation. Available for entry from mid May 2019. 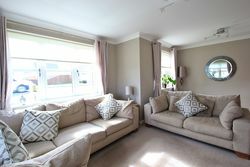 Formally the 'show home' of the development this stunning two bedroom ground floor flat offers a modern and contemporary decorative theme throughout. Entered via a secure door entry system. 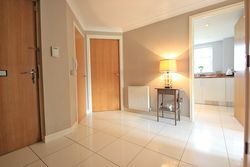 The internal communal hallway is spacious with regular factoring. 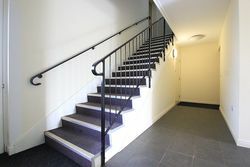 The internal accommodation comprises of a welcoming reception hallway where all other apartments lead off. A spacious lounge with dual aspect window formation. 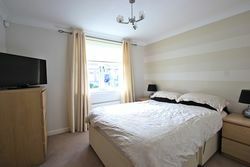 The two bedrooms are double in size each with fitted wardrobes. The fitted kitchen is stylish and contemporary offering plenty of wall and base mounted units with a contrasting worktop. 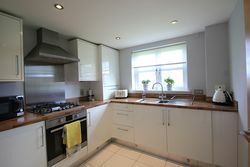 It also has an integrated oven, dishwasher, hob & hood, washing machine and fridge/freezer. 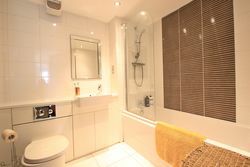 The fitted family bathroom has a white three piece bathroom suite and overhead shower. The property further benefits from gas central heating, double glazing, and allocated parking space with additional visitor spaces available. 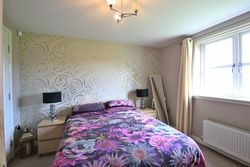 Amenities: The highly sought after Woodilee Village is a new community located between Kirkintilloch and Lenzie set within 210 acres of land 50% of which is dedicated to open space, woodland walks, cycle and bridle paths. 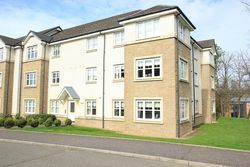 The Charles Church development is located West of the village and is arguably the most desirable enhanced also by it being within the Lenzie catchment area for schooling. The village of Lenzie is only a short walk or drive where a variety of essential shops can be found including post office, chemist, newsagent, doctors, library, supermarkets, dentist, hairdressers, award winning delicatessen and restaurants. Lenzie also has various leisure facilities including tennis, golf and rugby clubs and the main Kirkintilloch Leisure Centre is only a few minutes away. 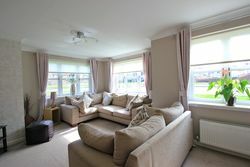 Transport Links: Lenzie is conveniently placed within easy reach of Glasgow city centre and Edinburgh. 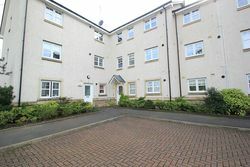 Property is a short drive or walk to Lenzie train station. The new link road connecting to the M80 is at the start of the village this connects to the main M8 motorway with links across central Scotland. There is also a regular bus route to Glasgow city centre and neighbouring villages.